This is a BRAND NEW set of LEGO® Town Paradisa 1761 Paradisa Motorboat from 1995. This set is still factory sealed and the box is in very good condition with minor shelf wear. 17 pieces and 1 minifigure©. 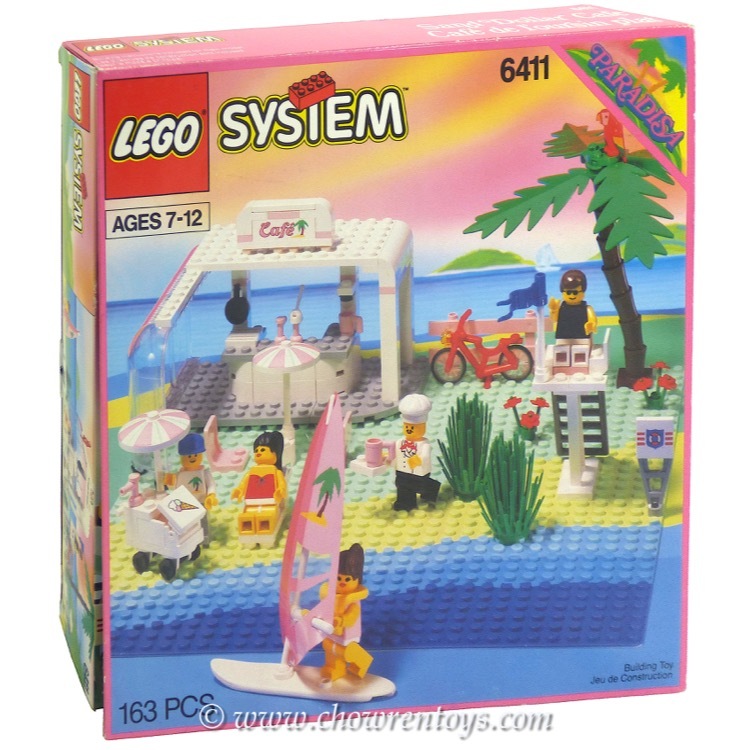 This is a BRAND NEW set of LEGO® Town Paradisa 6401 Seaside Cabana from 1992. This set is still factory sealed and the box is in very good condition with minor shelf wear. 42 pieces and 2 minifigures©. 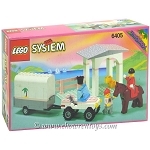 This is a BRAND NEW set of LEGO® Town Paradisa 6403 Paradise Playground from 1993. This set is still factory sealed, however the box contains crease and shelf wear. 91 pieces and 3 minifigures©. This is a BRAND NEW set of LEGO® Town Paradisa 6411 Sand Dollar Cafe from 1992. This set is still factory sealed and the box is in very good condition with minor shelf wear. 163 pieces and 5 minifigures©. This is a BRAND NEW set of LEGO® Town Paradisa 6417 Jumping Course from 1997. This set is still factory sealed, however the box is crushed on top with wrinkles, creases and heavy shelf wear. 35 pieces and 1 minifigure©. This is a BRAND NEW set of LEGO® Town Paradisa 6410 Cabana Beach from 1994. This set is still factory sealed, however the box contains minor wrinkles, creases and shelf wear. 145 pieces and 4 minifigures©. This is a BRAND NEW set of LEGO® Town Paradisa 6409 Island Arcade from 1992. This set is still factory sealed and the box is in very good condition with minor shelf wear. 140 pieces and 5 minifigures©. 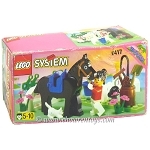 This is a BRAND NEW set of LEGO® Town Paradisa 6405 Sunset Stables from 1992. This set is still factory sealed and the box is in very good condition with minor shelf wear. 126 elements and 3 minifigures©. This is a BRAND NEW set of LEGO® Town Paradisa 6404 Carriage Ride from 1996. This set is still factory sealed and the box is in very good condition with minor shelf wear. 60 pieces and 2 minifigures©. This is a BRAND NEW set of LEGO® Town Paradisa 6402 Sidewalk Cafe from 1994. This set is still factory sealed and the box is in very good condition with minor shelf wear. 43 pieces, 2 minifigures©. This is a BRAND NEW set of LEGO® Town Paradisa 6489 Seaside Holiday Cottage from 1997. This set is still factory sealed, however the box contains shelf wear with wrinkles and creases. 84 pieces, 2 Minifigures©. This is a BRAND NEW set of LEGO® Town Paradisa 6419 Rolling Acres Ranch from 1992. This set is still factory sealed, however the box contains minor wrinkles, creases and shelf wear. 364 pieces and 3 minifigures©.